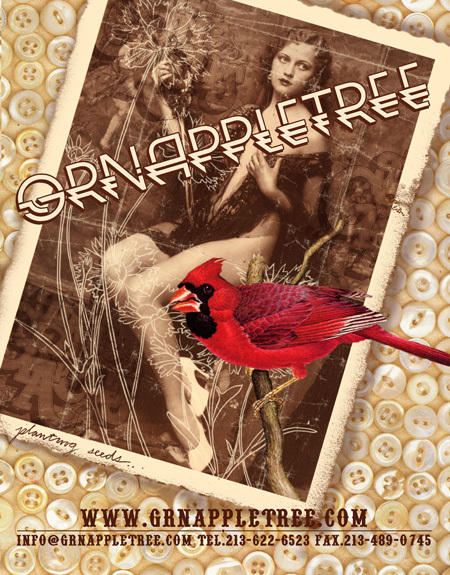 In the apparel business for six years, GrnAppleTree maintains core values of creating innovative, high-detail, and quality clothing. GrnAppleTreeâ€™s owner, Luis Antonio, believes the brand is about making products that remain relevant several years after being produced. Borrowing aesthetics from past eras, GrnAppleTree embraces the mentality that clothes should be made to last. Perhaps, the ultimate test for Luis is to see whether or not the brandâ€™s clothing will be featured in vintage stores a decade or two down the road. The strength of the brand comes not only from the quality of its garments, but by the diverse consumers that GrnAppleTree attracts. Luis thinks of GrnAppleTree outside the limiting constraints of streetwear and, instead, tries to create clothing that can be worn by a wide variety of demographics. This audience will be further broadened with an Etnies collaboration and the introduction of GrnAppleTree branded furniture. 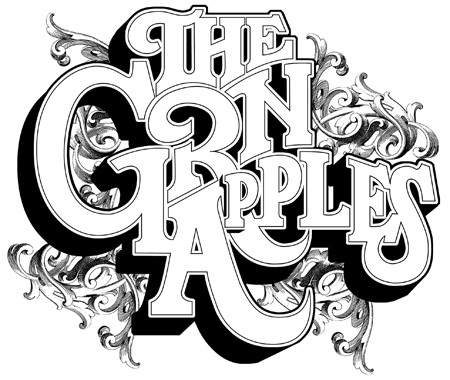 Format: The name GrnAppleTree is unique relative to the current marketplace. It stands out from a lot of other brand names in the realm of streetwear. How did the name come about? Luis: Basically, GrnAppleTree, we tried to come up with something positive, something that would, in a sense, flourish into something else. It sounds different than every other streetwear account because weâ€™re not a streetwear account â€“ weâ€™re not a streetwear brand. We basically started out making clothes for all kinds of different categories. We sell to rocker kids, hip-hop kids and the skate kids, but we donâ€™t try to make clothes specifically for them. We try to make clothes we like and all these other categories come to us. The whole name thing is just something positive that we grow into worldwide, where everybody could wear the brand. Format: Your brand has a lot of crossover appeal, was this planned? Luis: That was definitely on purpose, we did not want to get stuck in one category. We want kids wearing it, we want dads wearing it, and we want everyone to wear it. I think people want to wear our stuff because we donâ€™t target them, we donâ€™t try to sell them, we donâ€™t try to say this is how you should look like. We basically try to create something classic, by using rich imported fabrics and high quality goods. We didnâ€™t have much money to start this business, all we had was products. We decided to have it product driven so the quality of our goods is all we have and I think thatâ€™s how we got our word of mouth. Format: GrnAppleTree was doing cut and sew before a lot of brands. What lessons did you learn from those experiences looking back now? Luis: I donâ€™t know if there are any lessons. The first thing most people see is a t-shirt out there, but since we started we started as a collection with denim, nice button-ups, and accessories with jackets and such. We werenâ€™t just a T-shirt line; weâ€™ve been doing cut and sew for awhile. Format: When brands become more popular they reach a point where hard decisions must be made about distribution. How does GrnAppleTree choose a growth strategy that doesnâ€™t sacrifice the brandâ€™s image? Luis: From the get-go, weâ€™ve kept it pretty tight, but at the same time there needs to be growth. So you got to partner up with certain stores that actually understand what youâ€™re doing and let you shift to certain areas but still protect the core stores that you basically started out with. Some of these stores will let you sell to somewhere we donâ€™t have accounts maybe the Midwest. Those are usually the vendors we choose to go with the ones that will work with us to grow, not destroy the areas we already have. Format: Some of your goods have been popping up at Winners recently. Some may perceive this as a negative thing that is going to hurt the brand image, what is your take on this? Luis : At the end of a season instead of letting our stores put our clothes on sale we take whatever is left over and allow the company to take it back, so they can keep getting fresh stuff. We ship goods every month, so we have a lot of product. But at the end we pull it back so thereâ€™s nothing on sale in the stores so the stuff we have left over so we sell to shops like that. So basically youâ€™ll get one or two items in there, and itâ€™s gone too. I donâ€™t think itâ€™ll hurt too much; it might even get somebody who wouldnâ€™t have known about the GrnAppleTree to walk into one of our retailers and see the full collection. Honestly this is a business and for us to take care of the smaller boutiques. They would usually have to eat whatever doesnâ€™t sell, so we take it back and it helps everything grow. Itâ€™s not a negative thing; weâ€™re not making stuff for them, its just little odds and ends that have to go somewhere or else this little store gets stuck with it. Format: Some observers are mentioning that the streetwear market is oversaturated and the bubble is going to burst. Whatâ€™s your opinion? Luis: The brands that are basically doing good quality items, and keep doing good quality items will keep going. Those who donâ€™t make it have had some good experiences and will come back and maybe do something else under a different name. Using all the experience they had and do a better job next time. Itâ€™s a cycle: it happens in real-estate, it happens in any business you get. Itâ€™s part of learning and growing. It filters it out a little bit, so itâ€™s not a bad thing. People that actually have vision, and know where to go and arenâ€™t scared to take chances are the ones who are going to keep going forward. Other people that basically are hopping on-board building the bubble, wonâ€™t know where to go and those are the ones who wonâ€™t stick around. Format: The internet has become an all-powerful tool when it comes to marketing streetwear apparel. How the internet was helped or hurt what you have tried to create? Luis: It helps a lot because we get people worldwide that know what weâ€™re doing. At the same time we have to come up with new stuff every month, thatâ€™s a lot of work. Honestly, the internet is a good and bad thing. Usually the collection that you make, more than half of the items you donâ€™t even get to see because the buyers donâ€™t purchase it and they pick through it and pull certain things out. At least on the internet the customer can say, â€˜Hey, I want to see more of that.â€™ It kind of goes around the buyer which I think is a good day, the more your collection gets to come out than if it was just up to a buyer. Most of the times theyâ€™re guessing, they donâ€™t know. The kids, they know, he can spot whatâ€™s hot. Yeah itâ€™d be great if they saw the quality in person, but someone whoâ€™s bought something from us when we first started can see that the quality is still the same today. Format: A lot of your line revolves around patterns and quality workmanship. What was the inspiration behind your designs? Luis: From the beginning to now it has changed a little bit, but this is the deal. I always try to design something that you can absolutely find in a thrift store years from now and still be like, â€˜Wow, this is a great item!â€™ So if it passes that test where it can be sold in a thrift store thatâ€™s my goal, I love that about clothes. So I guess that would be my inspiration, to be in thrifts stores twenty years from now. Format: When making your line of hats why did you choose not to go the traditional route and get hats done by New Era? Luis: Well, I think, honestly a little bit has to go with going against the grain. They did actually approach us to do a hat, but once we called them back to do it, they never responded, so Iâ€™m not going to sit around and not do hats. So basically we found Elms, which is a great hat maker and partnered up with them to make beautiful hats. If you look at my clothes itâ€™s not all about labels, so I donâ€™t really care bout New Era on the hats, and thatâ€™s really about it. 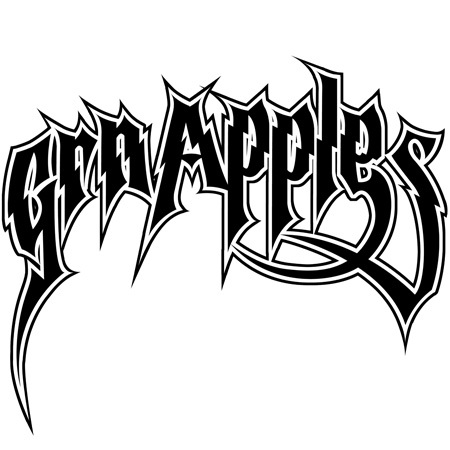 Format: I have not seen too many collaborations involving GrnAppleTree. What is the reasoning behind this? Luis: You know what we do like to do is other stuff like furniture and to make our own interesting things. We do some collaborations with brands and certain DJs and stuff. Like with anything else we like to have those relationships there when we collaborate with. So itâ€™s not just for the sake of collaborating. Weâ€™re not about dual branding as much, weâ€™d rather just do stuff with furniture and music and things we like. Format: What should fans be excited about for the upcoming seasons for GrnAppleTree? Luis: Basically expanding a little more into furniture, starting off with chairs and I think weâ€™re going to break into coffee tables and other stuff like that; more home furnishings and the like. We will also be doing a shoe with Etnies, and we love the Etnies Plus line. 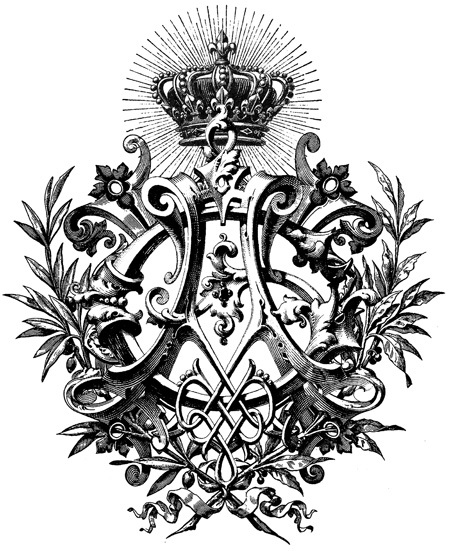 the name appletree is known as one of the best hiphop labels in holland.